We are so proud to again help KENS 5, San Antonio’s premiere television and news station, with their amazing Fiesta medals. And, again, they have created another innovative and exciting design! 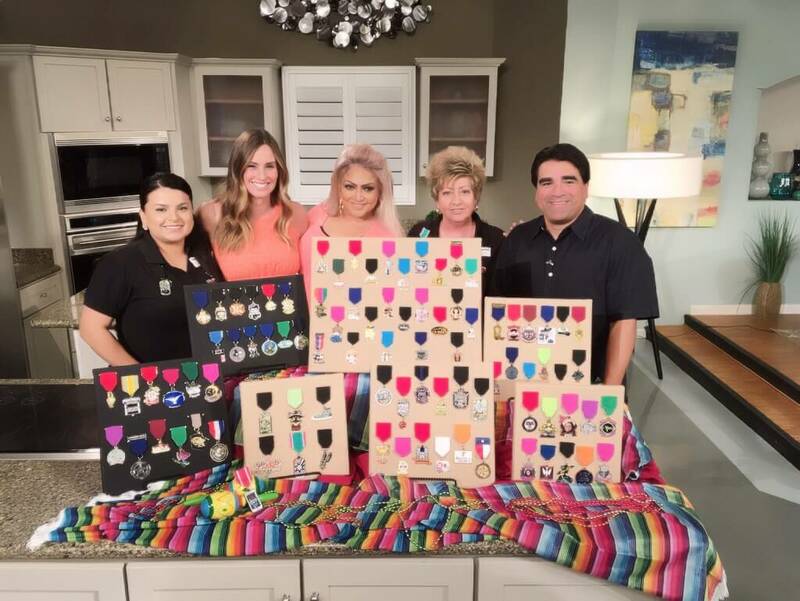 The 2016 KENS 5 Fiesta medal was unveiled live on “GREAT DAY SA” on Monday, 11 April 16. Tammany Williams, Owner, and Jo Ana De La, Showroom Manager, joined the “GREAT DAY” team to help launch this year’s Fiesta festivities. “GREAT DAY” host, Bridget Smith, along with co-host, Paul Mireles, and feature reporter, Kim Spradlin, were present during the live spot. “And, here it is,” announced Bridget, “The 2016 official KENS 5 Fiesta medal!” This year’s design is a replica of an i-phone, complete with a colorful cascarone cracking open – displaying the KENS 5 logo. This dazzling medal is attached to a custom dyed medal and is sure to be the most beautiful medal in your collection! 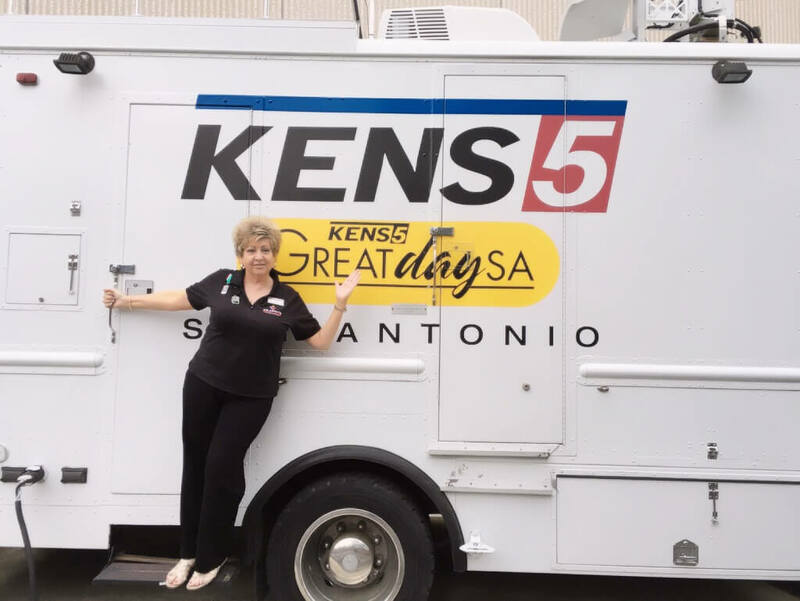 To get your KENS 5 medals – and they will be going fast – look for a KENS 5 camera crew at Fiesta events all over town beginning on Thursday, April 14th. They’ll be giving them out and trading! Happy Fiesta!